In the 1990s, fresh air from a can was still a gag in satires by Mel Brooks. Today it’s reality. Air farming is a current trend in which fresh air is “harvested”, packaged and sold in jars, bottles or cans – usually to people in cities struggling with severe air pollution. Rare earth elements that are needed as parts for many smartphones and other technical devices continue to be raw materials in high demand. The same should be true for clean air. And once again, Hollywood rises to the occasion: Arnold Schwarzenegger warns against the effects of air pollution. In 2020 it will be the third leading cause of premature deaths. ATMOS – the city of airs – is a prototype at the right time. Nearly every region on earth that is blessed with good air has already recognized the economic potential inherent in marketing that air outside of an actual visit. In addition to air from the Australian Bondi Beach, the Canadian Rocky Mountains and the Swiss Alps, you can now also buy local air from Hallstatt in a can. What mostly started as a joke and souvenir item soon grew into a well-functioning economic model, since people who live in heavily polluted cities like Beijing and Shanghai are particularly willing to invest a lot of money in a product which they think will improve their health. The price of about 8 liters fresh air, which is often enriched with fragrances of Swiss pine, wild flowers or fir trees, ranges from around 20 to 100 Euros and will provide roughly 150 inhalations. When even cities like Berlin and Paris started to market their air as a lifestyle product, the EU came close to imposing a ban. Fine dust was discovered in a large number of containers. But there are more serious conditions in large Chinese cities. The local battle against smog already led authorities to close construction sites and factory operations; even schools are no longer allowed to let children outside. After all, more than 1.6 million people in China die each year as a direct result of the air pollution. What’s ironic about the canned air: The transport mainly to Asia actually compounds the environmental damage. Clean air – something we take for granted – is a vanishing resource in many other parts of the world. At the same time, it’s enormously important to our health. 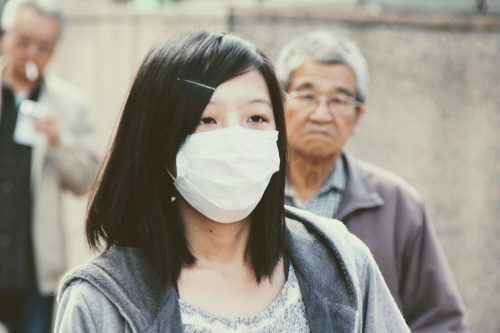 The WHO traces about 24% of all causes of death to polluted air worldwide. Just like smoking, this air can result in contracting COPD, chronic obstructive pulmonary disease. Since the disease is still incurable, current studies predict that it could become the third leading cause of death by 2020. The lung disease could slowly turn into a common disorder that might affect every person exposed to polluted air. However, an early diagnosis is crucial to keep the chances of effective treatment high. A long-term, gradual progression of the disease can irreparably destroy the lungs of the affected persons. Once again there is a need to take the environment seriously and preserve the fresh air, because this is the only way to relieve lung diseases like mucoviscidosis and the general pathology of COPD. Given this situation, the development and realization of ATMOS becomes increasingly important. Places where patients with COPD and mucoviscidosis find relief will be all the more significant in the future. It might be pleasant to inhale canned air for a few minutes at most, but this would be pointless in a city with lots of smog, as Lungenliga Schweiz can report. It makes about as much sense as trying to sound like Jimi Hendrix on an air guitar. In principle, people have realized that vital resources such as water and air are getting scarcer and must be handled with more consideration. 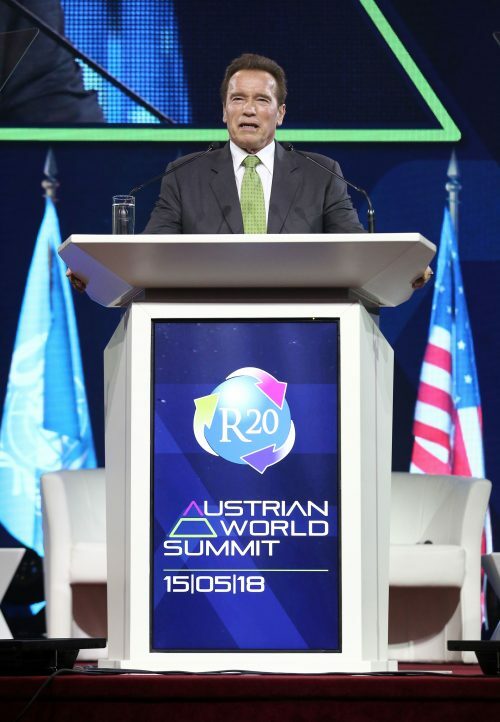 At this year’s Austria World Summit, Governor Arnold Schwarzenegger highlighted the topic in an emphatic speech on the world stage. Jointly with the United Nations, he founded the R20 Regions of Climate Action in 2010 to support the environmental protection efforts of countries, regions and initiatives. His message: Climate protection affects us all on every level, not just countries and companies but also each individual. 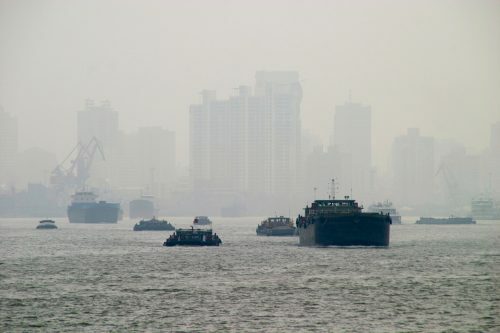 More than 90% of humankind are exposed to polluted air. According to a current study by WHO, more people are dying of the effects of air pollution than of AIDS and tuberculosis. Thanks to enormous feedback from experts in various professions – including medicine, physics, economy, chemistry, data IT – and people affected by diverse pathologies, we can say: ATMOS is not just a response to the requirements of mucoviscidosis patients. ATMOS can be the prototype for several million people instead of just a few thousand. Because gasping for air and the struggle to breathe freely affects many of us – actually us all. Interweaving and layering various skills, experiences, perspectives and needs is fertile ground for innovation. ATMOS will be a crystallization area where all this is happening. Just as it is already in the development of ATMOS – the medical sector alone divides into multiple disciplines such as robotics, electromedicine, biomechanics, mechatronics, microsensors, medical simulation technology and imaging, 3D printing, personalized medicine and much more. This enables truly pioneering achievements and makes it possible to build a city that functions as a turbine for fresh wind not just on the coasts of Europe.